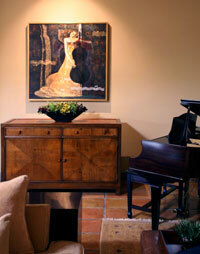 Rich, Textured, Luxurious, and Appropriate ... Those words best describe the Kathleen McGovern design approach. Resulting in the elements we all desire in our homes; beauty and comfort. I've always dreamed of living on the Detroit River. With much patience and searching over the years I found the house of my dreams. By most standards it was move in ready but I wanted 'more' and I needed someone who could see what 'more' was... enter Kathleen McGovern and her design team. Kathey was already very knowledgeable with the history and architecture my building. Right away I liked her perspective, her stunning portfolio and her impressive charitable work in the community. She has a wide array of reliable trades people who share her vision and standards for excellence. She was able to understand my lifestyle and infuse it into the overall design scheme. So with an extensive knowledge of design, architecture, art history and me... The Kathleen McGovern Studio of Interior Design has made my dream house into my dream home. Kathleen McGovern is thorough in every detail. She and her staff transformed and reclaimed the beauty of my 93 year old home in Historic Boston Edison District in Detroit. Her project was primarily the first floor and adjoining halls and stairways. There had been a host of ill DIY projects in the past that had to be remedied. The first meeting was many questions of style, color and budget. Her contractors were precise and provided superior workmanship. Kathleen was Intuitive to my needs. I would use her services again - easily! My husband and I have been thrilled to have Kathleen McGovern and her team transforming the interior of our house. She and her group have an incredible eye for texture and color and each room flows flawlessly into the next, while still maintaining its own special character. Their choices of fabrics are rich and yummy and the lamps and light fixtures she discovers are singular. Every room is warm and balanced and makes us feel happy! 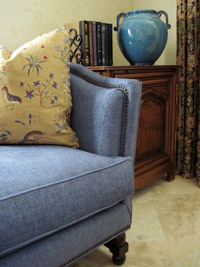 I'm a contractor that has had the honor of working with Kathleen McGovern Studio of Interior Design for several years. Their energetic team is highly talented , professional, and full of creativity. I have benefited greatly from all their extremely satisfied client's referrals, and references. Not only is it a joy to build a great design from great designers but it is also wonderful to stack my portfolio with such innovative interior creations. I can't wait for the next one. Kathleen McGovern Studio of Interior Design has been our Interior Design firm of choice on five different custom home projects from 1995–present. Four of the five projects involved were “ground-up” and involved many facets of the construction process. Her involvement began with detailed working meetings with the architect prior to the start of construction and continued with ongoing field site visits to meet with various contractors throughout the length of the project. Kathleen’s detailed involvement with the selection and final approval of key architectural design elements such as flooring, tile/stone work, lighting fixtures, and plumbing, required her thorough review of construction drawings, including detailed electrical and plumbing plans. Kathleen and her staff worked closely with our builder and architect in order to ensure each of these elements was received as ordered and properly installed. These architectural elements provide the foundation upon which Kathleen builds her design and were essential to creating the final look and feeling of each of our homes. The selection of each of the elements would have been impossible without Kathleen’s knowledge and awareness of current products, as well as, the vision she provided for design continuity within each of our homes. I firmly believe this level of involvement and participation in the construction process is one of the things that separate Kathleen McGovern Studio of Interior Design from other interior design firms. Her ability to work willingly and seamlessly with each builder and our architect made for a positive building experience on 5 different occasions. Her support staff is both knowledgeable and responsive and readily worked as a liaison between the architect, the builder, and ourselves. Kathleen’s real strength becomes apparent once the construction is complete. Her ability to take a room and turn it into a lovely, comfortable, and inviting space is remarkable. She carefully balances the design to make certain not to overwhelm one’s eye, while remaining cognizant of the architectural style of the home and its natural surroundings. She has an uncanny ability to blend the outside with the inside, expanding the living space beyond the footprint of the home itself, and creating a space that flows seamlessly from one area to another. Her ability to introduce rich color, beautiful fabrics, and quality furnishings into each project provides the finishing design touches and defines the personality of the home. We could not have created each of our homes without her vision, creative eye, and knowledge of the most current available resources and products. We are proud to say Kathleen McGovern Studio of Interior Design has helped create homes for us that not only reflect our personalities and lifestyle, but are also beautiful to the eye and are a joy to live in. 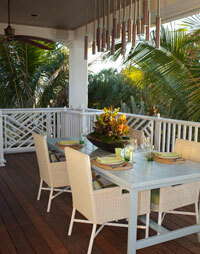 Kathleen McGovern, in our opinion, is the “Design Whisperer.” We have worked with Kathleen and her team for 20 years. Her unique ability to listen to the client and then integrate the clients’ ideas with her professional design skills is exceptional. The McGovern staff is most accommodating and professional, as well. While other designers may “rubber stamp” their work, Kathleen’s work is a compilation of the client, the environment, the budget and the designer coming together. She has the ability to individualize her projects. Our contractors mentioned their respect for her and her knowledge of the construction process. Kathleen has completed 3 major projects for us. Her mastery of color has created beauty and comfort beyond our expectations. There is a reason that Kathleen McGovern has been tapped for major projects from a field of highly respected designers. The answer is that she is the best. I met Kathey through a friend and it was specifically because I was looking for some “help” to decorate my new home in Florida. I was very hesitant to “hire” someone as I had never used a designer in the past and was unsure exactly how the process worked and IF I would like someone else making selections for me. I wasn’t sure what to expect but I had done my homework on Kathey and knew she had been in business for a long time, had a high level reputation, good credentials and seemed willing to work with a “rookie” like me. I chose to go ahead and hire Kathleen McGovern Studio of Interior Design mainly because I just plain liked Kathey! I felt that she would be able to design the look and feel that I wanted for my home and it might even be a “pleasant” experience for me in the process. I now know that I made a very wise choice that day. We’ve spent the past year and a half putting together what has turned out to be a perfect vacation home! She took all of her past experiences and her expertise and put together exactly what I wanted. Besides the level of professionalism and work ethic, I liked working with the team at Kathleen McGovern Studio because; they listened to what I felt was important, they were willing to explore several approaches to an idea and their expertise goes beyond selecting fabric and furniture. They understand instinctively the importance of scale and how furnishings relate in a space. My Florida project is complete now…and I was so happy with the results that Kathleen McGovern Studio of Interior Design is now starting on my Michigan project. That alone tells you I am happy with what they can do!